Thaayaar - Selvathirukozundhu Naachiyaar, Vaatsalyadevi. Theertham - Kandaakarna Theertham, Pambaa river. Nammalwar - 3205 - 3215. Note: Previously ladies were prohibited inside the temple. The ban has been lifted now. The Moolavar found in this sthalam is Kolapiraan. He is also called as "Thiruvaazhmarban". Moolavar is found in Nindra Thirukkolam facing his thirumugham along Eastern direction. 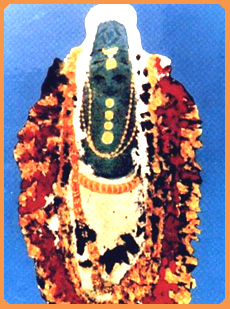 The perumal is prathyaksham for Kanda Karnan.. This sthalam is situated 3 kms away from Thiruvalla railway station which is in between Kollam - Ernakulam railway lane. We can reach this sthalam also by bus that goes towards kottayam. For staying, Chattirams are available.